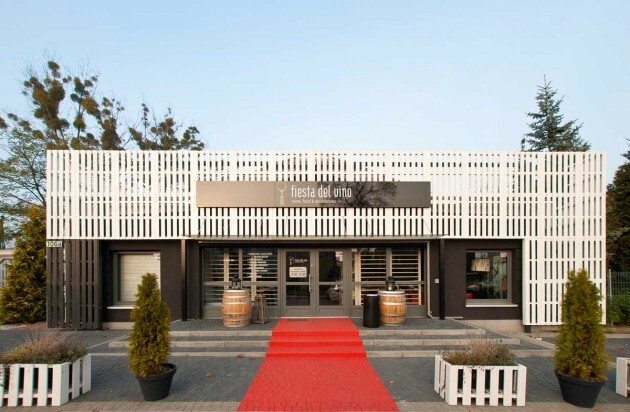 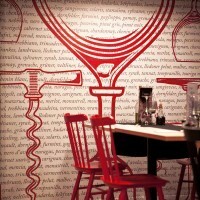 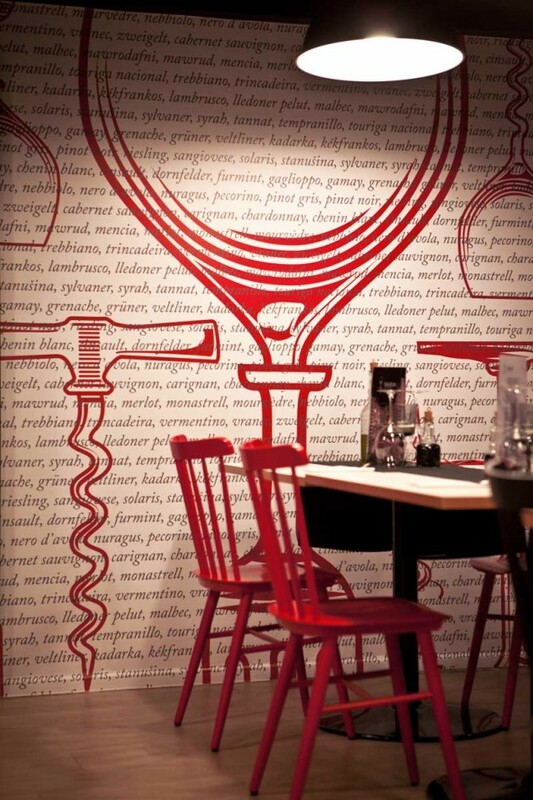 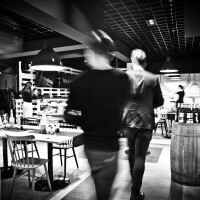 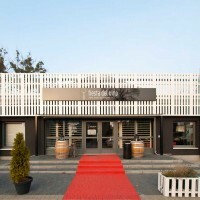 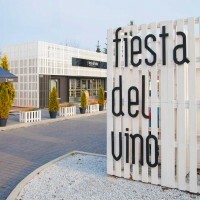 mode:lina architekci have designed the Fiesta Del Vino Wine Bar in Poznan, Poland. 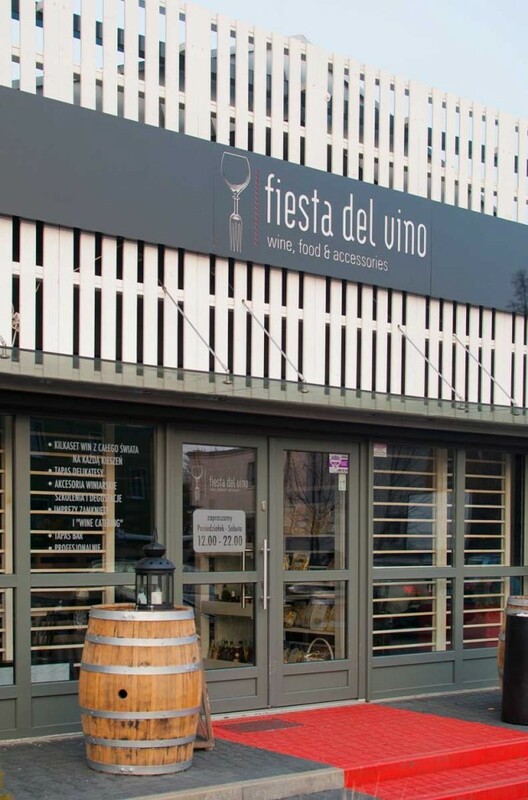 “I don’t want winery, but a wine shop, where you can also have a glass with some tapas.” That was new owner’s main goal. 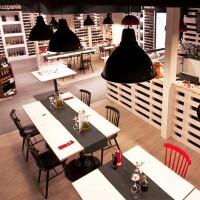 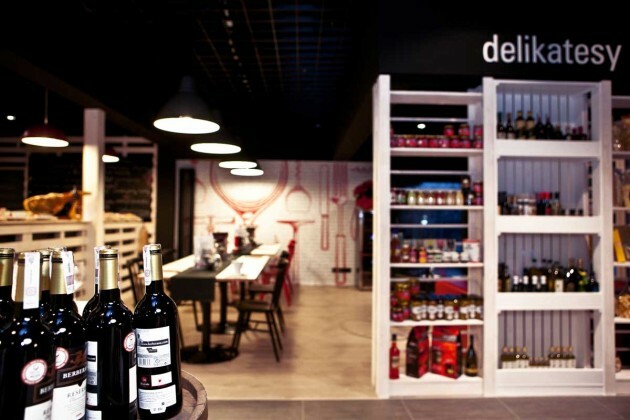 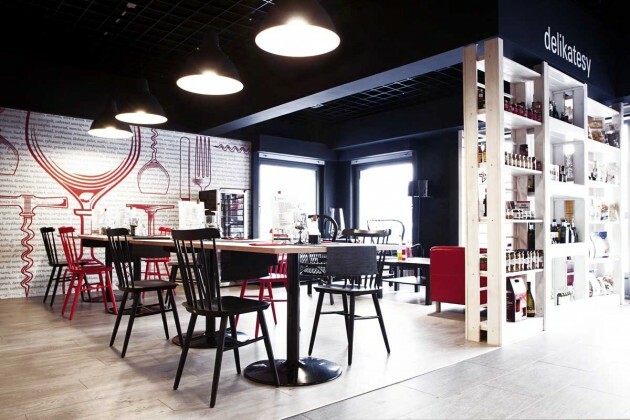 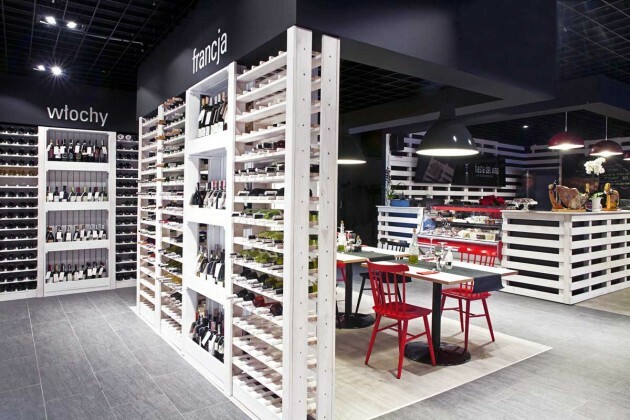 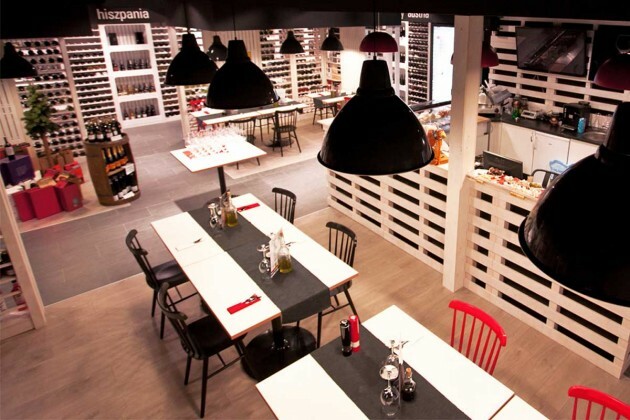 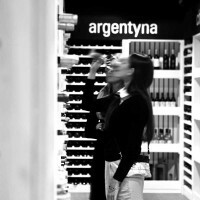 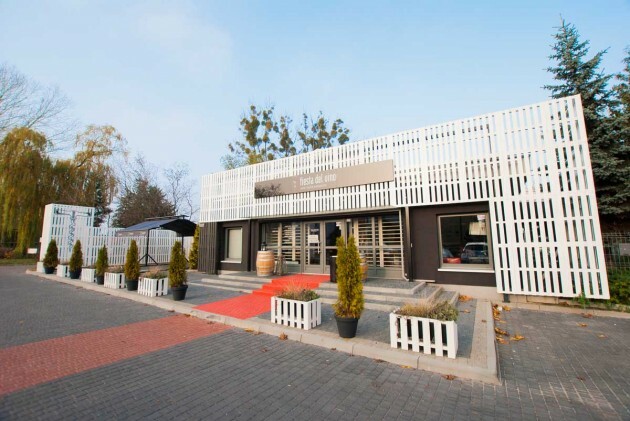 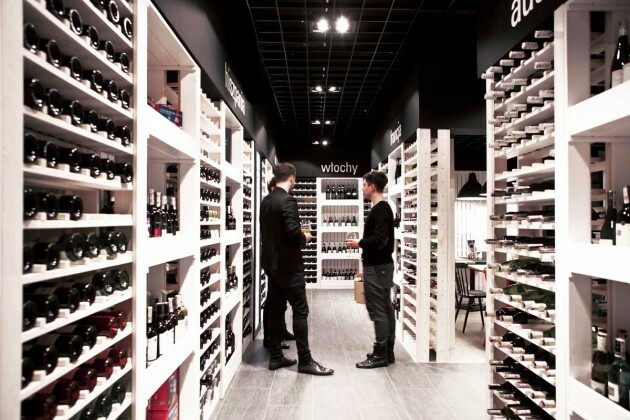 In Górczyn, Poznan, on 120m2 designers from mode:lina placed a wine shop with bottles from many diferent parts of the world, accessories department and a tapas bar with tasting area. 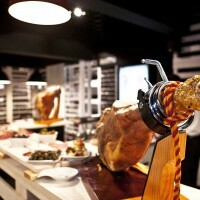 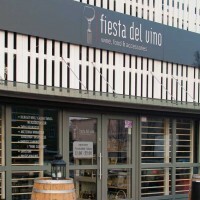 You can come and buy just one bottle, try some chorizo or stay and become pro wine taster just for one day. 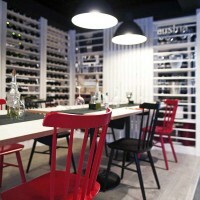 Whole space is clearly divided into single areas, still very matching in style. 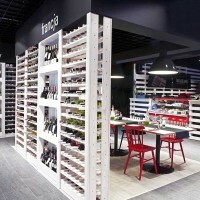 Designers used a typical wooden wine rack as a module, also some single planks to fullfll whole conception. 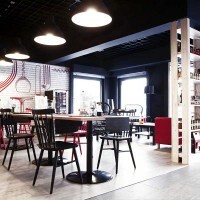 The atmosphere is created with colours. 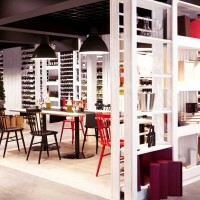 Dark color makes nice ambience, red and white are the shades of wine. 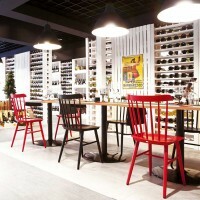 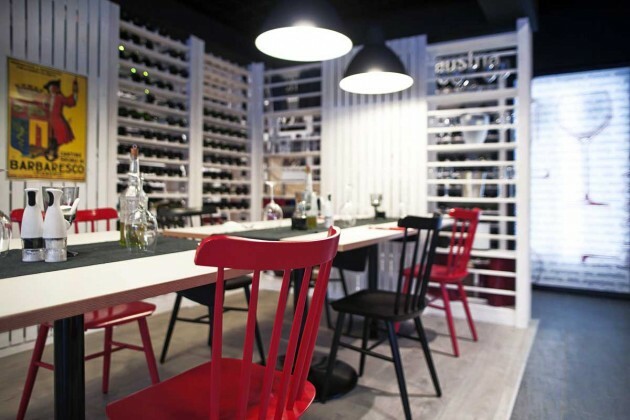 Small tables, proper light and cosy couches, that’s the recepie for good wine amateurs’ interior! 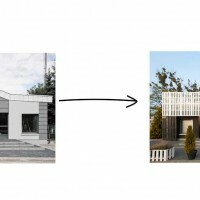 The next tasks for architects from mode:lina architekci architecture studio was to designed elegant elevation. 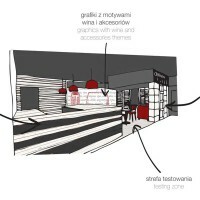 The owners wanted to expose a shop window, create stylish place character and redefne them. 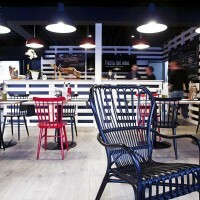 Architects designed elevation by white and black painted pallets. 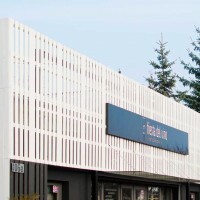 Building’s form was simplifed and achieved a new skin. 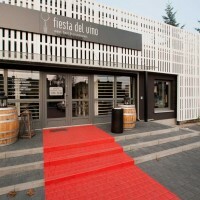 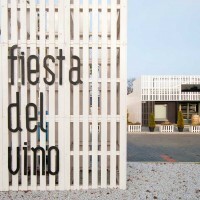 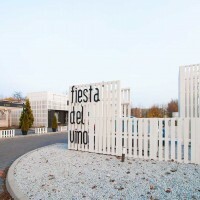 The designers exposed steel logo of Fiesta del Vino and gave a new character of all environment. 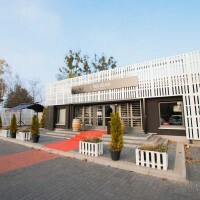 The building is approachable, climatic and visible. 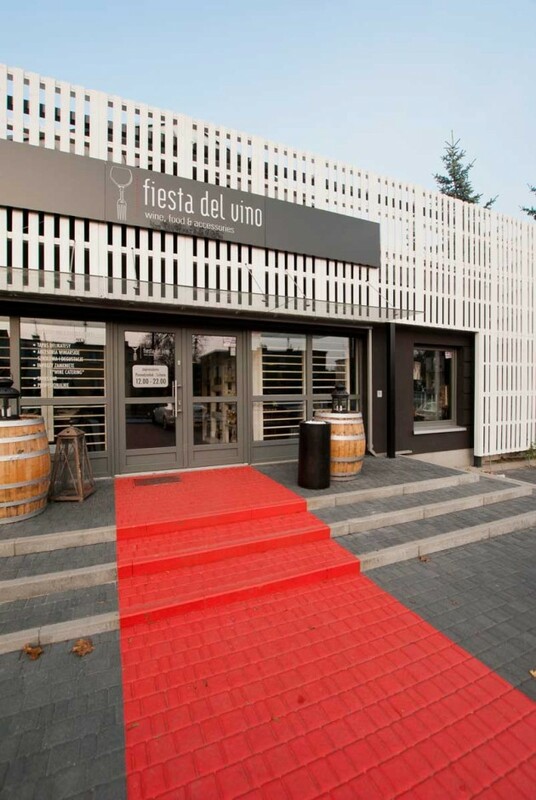 Fiesta del Vino is outstanding in the place where it built – thanks to the characteristic totem at ramp.